I thought I’d share some of the gear we use during adventure races and other outdoor pursuits. With Christmas only a few weeks away, these would make great Christmas gifts for the adventure racer in your family. So we’ll start at the beginning of the alphabet, and over a series of posts we’ll show you some great adventure racing gear, equipment, and clothing. 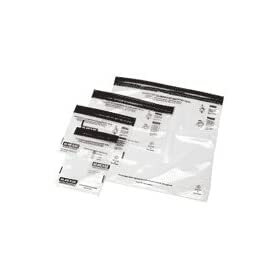 These bags are kind of like ziplock bags on steroids. They are nearly indestructible, and they won’t leak. I use these bags to keep a dry pair of socks in the bottom of my pack, to keep my camera dry on paddling sections, to hold my first aid kit, and to keep my cell phone dry during races where we are required to carry a phone. I’ve even used these bags as map cases before. Aloksak bags are far superior to freezer ziplock bags, and you can reuse them time after time. They have never failed me. Find them here. After using a Buff on the Castlewood 8 Hour Adventure Race this past weekend, I realized that I should have purchased one years ago. I absolutely LOVE it! It is unbelievably versatile – I wore it as a face mask, a head band, a balaclava, and a beanie during the race. It can also be worn as a do-rag, wrist band, neck gaiter, blindfold, and (although I shave my head so would never use it this way) a scrunchie pony-tail holder. It comes in a variety of colors and patterns (I prefer plain old black), and at only 20 bucks it is a helluva deal. Trust me… You’ll love it. Pick one up and you won’t be sorry. This is another great little item that every adventure racer should have. Unlike most other mini-compasses, this one has a liquid filled capsule, jewel bearing, and a rotating bezel which makes it a must-have item. It can serve as a back up in case your primary compass is lost, or it can be used for quick and dirty navigation on the fly. All but the gnarliest of the navigation during adventure races can be done with this little guy, and I actually use this little guy the majority of the time during adventure races. It comes with a band or it can fit on your watch band, and it even has a glow in the dark bezel which is a nice feature. Go on and get one right here. These dry bags will keep your clothes and gear dry while saving space and weight. 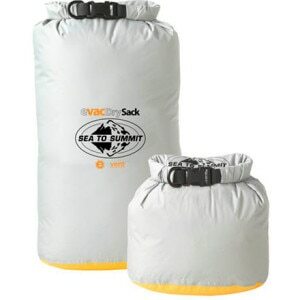 Simply put your clothes in the dry bag, roll the top and buckle it closed, expel the air out of the bottom of the bag (here is where the waterproof / breathable eVent fabric is), and you’ve got a dry bag and compression sack rolled into one. The bag is oval shaped so that it won’t roll away when placed on the ground. Check ’em out. Every adventure race requires you to carry a whistle and a headlamp (even if you should be done before dark – you know… Just in case). So, how can you meet these two gear list requirements in one piece of equipment that weighs just under 1 ounce? With Petzl’s e+Lite headlamp with the integrated emergency whistle, that’s how. It weighs a scant 28 grams, has two white light outputs, a red light for night vision, and a white flashing and red flashing mode for signaling. It lasts for 40+ hours, and it’s even waterproof down to 1 meter. It can be worn around your head or clipped to the bill of a cap or to your pack. Even if you need more light for technical night nav or mt. biking, at less than an ounce you can carry this baby as a backup. Pick yours up right here. That’s it for now. We’ll be back sometime soon with more gear recommendations. Check out Part II of this series. 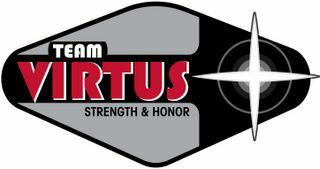 Posted on December 7, 2009, in Gear and tagged adventure racing gear, gear recommendations, wish list. Bookmark the permalink. 6 Comments. I wonder if Corey would say “F” was for fruitcake??? I’m definitely getting one of those micro-clippers. Can we have more than 1 entry per letter? We should also create a Top 10 most wanted list for gear that we are Jonesing for. We could each post an individual Top 10 and a team Top 10. #1 for the team list –> A Spnosr with free gear and entree fees. We should make “F” for Five Fingers by Vibram. I love runningin mine and hope to be able to afford the kaagaroo leather uppers for trail running next year sometime. “G” is for GoLite the site and all of their gear especially my softshell and the Rush AR pack. “H” is for Hammer Gel –> post a link and favorite flavors. “I” is for ?? I spend some time thinking about what we really love and use the most. I have some good things for upcoming letters. Anybody else have any gear? “P” for PrincetonTec –> APEX and my mini love them, love the company, love the warantee. – Or even Patagonia R2 (I guess that could be R too. “K” is for the Kona King Kahuna (3 K’s sweet). I love, I mean absolutely love my new 29er. Wait until you take it for a ride…You’ll be hooked too and start saving for your own Kahuna. I’ll come up with some more in the near future and throw them up here. I think Corey would say “S” is for Scardick. And did he ever take any fruitcake with him during the race? Casey, “I” is an easy one. “I” is for Iodine tablets and also for Injinji Tetrasoks. I have tons of ideas, but I thought I’d spread it out a little bit. Cool, if you get stuck post some letters and we’ll help you out. Hopefully we can come up with some gear for all 24 letters. Good site guys. I like it. Ibuprofen is definitely a good one. In fact, it saved Bob on the Bonk Hard Chill this past February.